I often wonder what life would have been like had I been born a hundred and fifty years earlier. Maybe I shouldn’t admit to this, but I sometimes think I would have sat in the darkness, staring at a candle, pining for an iPhone. Sure, iPhones wouldn’t have existed in those, days, so I wouldn’t have known what an iPhone would be, but still, I like to think I’d have wished for one. Maybe that’s an exaggeration, but I do love my electronics. I am happier in front of a computer than almost anywhere else, and I would pick a shiny touch screen device over a shiny piece of jewelry any day. Future husband, take note. And so, had you told me a week ago that I would survive close to 36 hours without power, I don’t think I’d have believed you. And yet I did. I need to print up some tee-shirts that say “I survived the great blackout of 2011” or something, because it was an accomplishment. Next to my laptop (wi-fi too! ), my iphone and my hair iron, I missed my mixer. I probably spent 30 out of the 36 hours wishing I could just get into the kitchen and bake something. To make matters worse, I had just come across the recipe of the century, and I knew I had to try it. Sadly, I had to wait a couple of days to make it. Sadly, I say, because these cookies needed to be made sooner. They’re that good. Let’s start with a word about Nutella. Surely, everyone knows what this stuff is. I have seen (what seems like) millions of recipes involving this magic spread, yet I thought I couldn’t make any of them. Nutella is dairy, and I bake almost exclusively non-dairy. Then I found a non-dairy version, made by an Israeli company called Schneider’s. (Called Dellinut, available here, though I don’t get anything for sending you there. You can also make your own non-dairy Nutella using this recipe from Joy of Kosher.) Suddenly, a whole world opened up to me. I began to bake everything I possibly could with this stuff. And I am now completely hooked. If you are a Nutella fan, is anyone not a fan? these cookies are for you. They are basically a fudgy, gooey ball of Nutella, surrounded by a crunchy coating of ground hazelnuts, then rolled in confectioner’s sugar. The result: pure decadence. Nutella heaven. In the bowl of an electric mixer, beat Nutella and shortening together until fully combined, scraping down the sides of the bowl with a rubber spatula, as necessary. Add sugar, beat until combined. Add eggs and vanilla, beating to combine. Scrape down the sides of the bowl and make sure all ingredients are fully incorporated. Slowly add the flour mixture, alternating with the milk. Do not over-beat. Using a wooden spoon, stir in the chopped hazelnuts, if desired. Place cookie dough in fridge for at least an hour, until firm enough to handle. Preheat oven to 375. Place the ground hazelnuts on a plate, and the confectioner’s sugar on another. Using a tablespoon cookie scoop (or estimate) form 1 inch balls of dough. Roll the dough in the ground hazelnuts***, until fully coated. 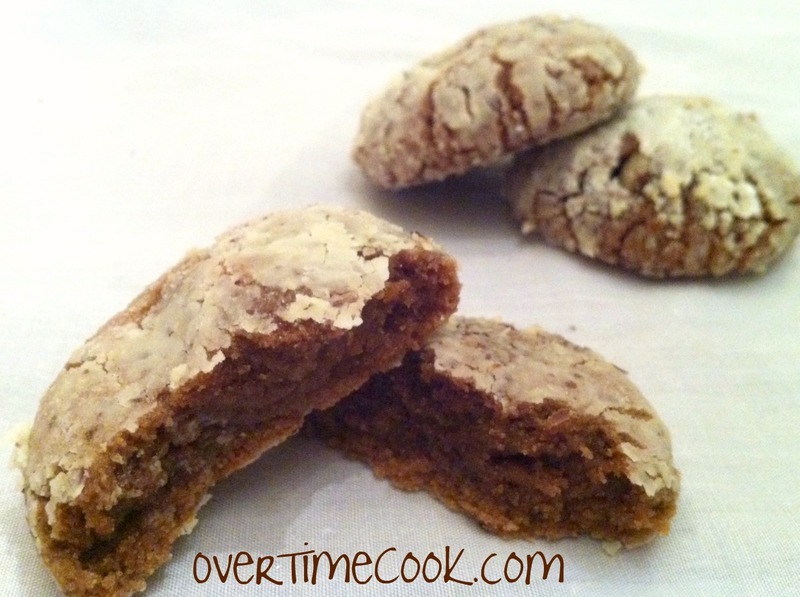 Take the hazelnut covered cookie and roll it in confectioner’s sugar, again, until fully coated. Place the cookie on an ungreased cookie sheet. Repeat with remaining dough, using more ground nuts and/or confectioner’s sugar, as needed. Bake the cookies at 375 for 10 minutes. Allow to cool for one minute on the baking tray before removing to wire racks to cool completely. ** For non-dairy, use Rich’s Whip, or equivalent, instead of milk. *** While the additional step of rolling the cookies in ground hazelnuts may seem like a lot of work, don’t be tempted to skip it. The nuts wrap the cookies in the most amazing blanket of crunchy deliciousness. Do it. It’s worth it. Thanks for stopping by! Come back soon, I have a delicious healthy Pumpkin recipe that I can’t wait to share with you! Bravo that you made it through the blackout, definitely a time of deprivation of several conveniences. Love the nutella cookies-that ingredient is all the rage these days! Your description has me craving these. This recipe is definitely a keeper-thanks for sharing. Glad you made it through your power outage. I can imagine how antsy you were to get in the kitchen a bake up a batch of these. The were worth the wait though. Mmmm, sounds great. Thanks for linking to the homemade Nutella recipe. I like making things myself wherever possible and am looking forward to this one. That’s funny- I actually thought of you as I was writing this up. I was thinking that for a change you’d have an easier time getting a hold of something than all of my american readers, because it’s an Israeli product! I haven’t made that recipe- please let me know how it turns out! so excited to try these cookies…gotta get to Glatt Express…do they carry the Dellinut? I got the Dellinut spread in Rockland Kosher, in Monsey. I am not sure where else they have it. If they don’t, try requesting it? Wow . . . pareve nutella? I have to ask my local kosher grocery to order it. The cookies look amazing. I lost power and we got flooded, which has disrupted my baking, so I know how you feel. Fabulous looking cookies, my kids love Nutella and would go crazy over these! 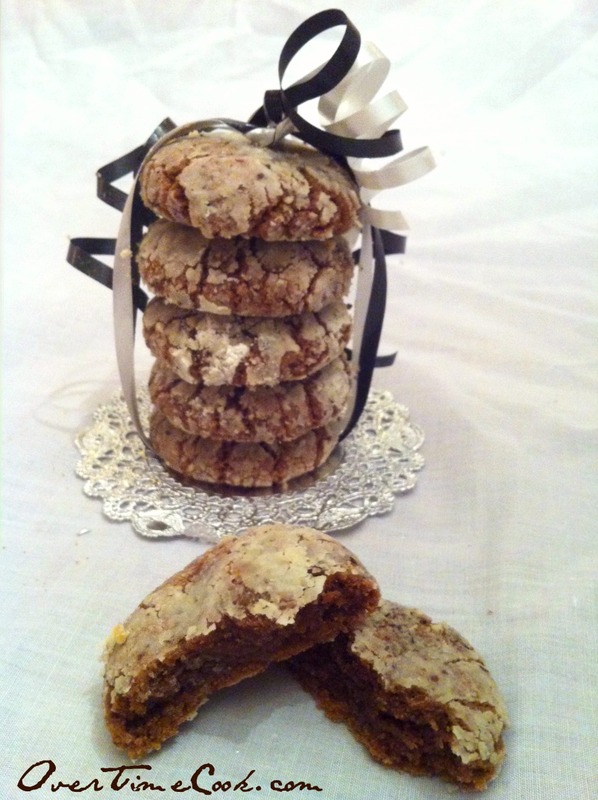 I have never thought of making cookies with Nutella – what a great idea! Yum! Yum!! I have a Nutella addiction, and these look absolutely amazing! 1/4 what of shortening….there is no tool mentioned? Do you mean margarine? Oil, shortening?